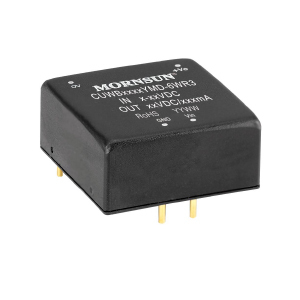 CUWB_YMD-6WR3 series are isolated 6W DC-DC products with automotive input voltage range. They feature efficiencies up to 85%, 1500VDC input to output isolation, operating temperature of -40°C to +105°C, input under-voltage protection, output over-voltage, over-current, & short circuit protection. They meet level 3 of EN55025/CISPR 25 EMI standards and they are widely used in applications such as automobile electronics, industrial control, electric power, instrumentation & communications.